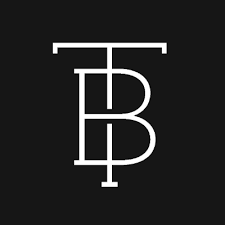 Tailored Brands is looking for an E-Mail Marketing Manager. If you meet the requirements below, you will be eligible to apply via Digital Marketing Community. Lead strategy and development of email marketing program for multiple brands. Collaborate with internal cross-functional teams to communicate campaign activities and to ensure deliverables are aligned and integrated into existing plans for streamlined execution. Cooperate closely with the director to deliver against channel roadmap and DTC plan. Manage channel reporting, budget and accounting responsibilities. Oversee a team of 1 to 2 associate email marketing managers. Manage and moderate all creative work orders, calendars, timelines, status, coding docs and reports. Work closely with email production and data teams to convey mailing instructions, deliverables, segmentation, data and feedback. At least 3 years of proven e-mail marketing experience. Proficient experience with direct-to-customer digital marketing communications. Advanced understanding of email best practices, metrics and associated KPIs. Deep knowledge of dynamic content, segmentation strategy and data connections as it relates to email marketing. Expert working experience in using various e-mail marketing platforms. Solid problem solving and organizational skills. Tailored Brands provides a personal, convenient, one-of-a-kind shopping experience with compelling products and world-class service.